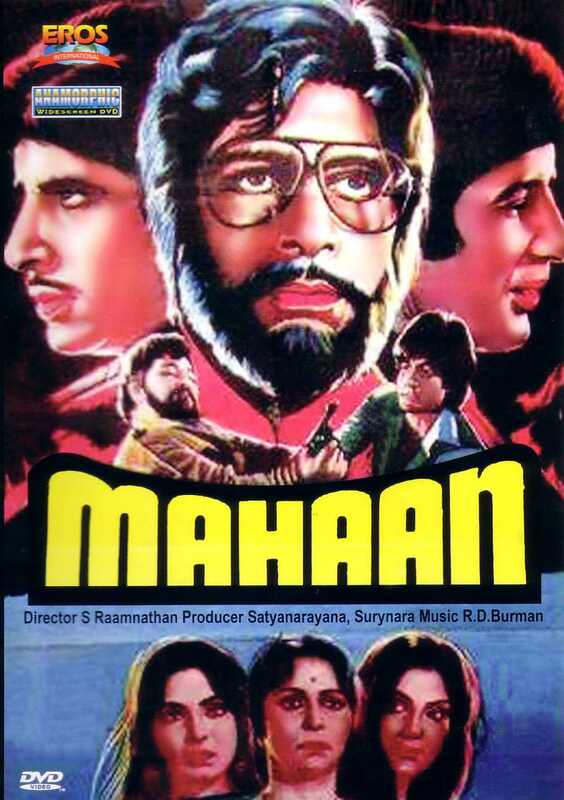 1983 was arguably the peak of Amitabh Bachchan's (super)stardom and I can just hear the powers that be in Bollywood thinking out loud as to what he needed to do to get even BIGGER than what he had been for the past decade. Cast him with the top leading lady (or two) in Bollywood? Been there done that. Have him serve as playback singer for himself? Done as well but maybe a new spin on that might be good. A double role? 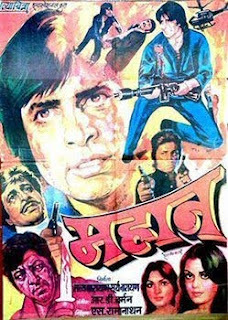 Amitabh was a master at that, having done it eight times already - most notably in Don. Well how about all three of those previous things but go to the proverbial next level on all of them? Cast him with three of the top leading ladies of Bollywood including one from it's Evergreen days with Waheeda Rehman, Zeenat Aman and my personal fave Parveen Babi. Let him sing a song but do a slow version of one that was sung earlier in the movie by Kishore Kumar. And finally - double roles be damned - let's have him in an unprecedented (and yet to be duplicated in Bollywood) triple role therefore ensuring that he be in every scene of the movie.